Blocks will be available for pick up or will be mailed on the first Wednesday of each month beginning April, 2019. The Quilt Asylum makes a commitment to you to have the blocks and fabrics ready in a timely manner when you sign up for a block of the month. We require a commitment from you for the length of the program. 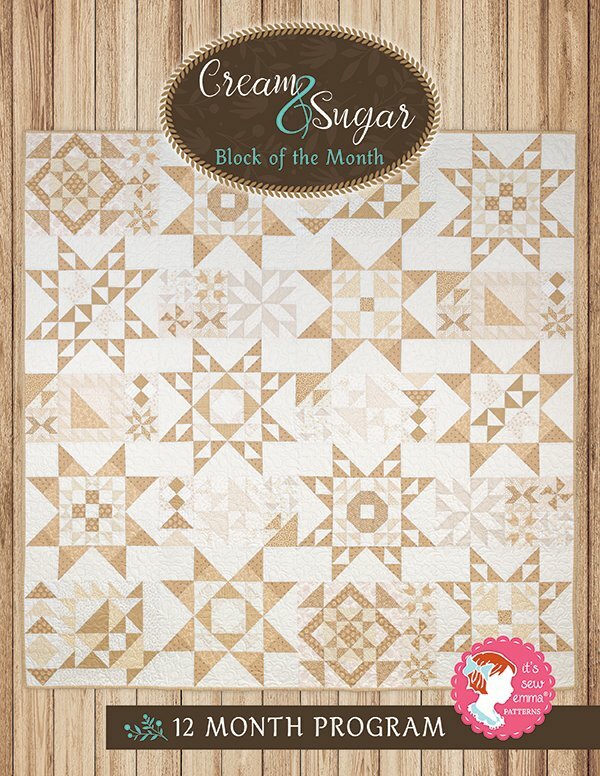 Signing up for a Block of the Month is the same as putting a quilt on "layaway." You are making a commitment to purchase the entire set of patterns or kits. YOU WILL BE REQUIRED TO HAVE A CREDIT CARD ON FILE, EVEN IF YOU ARE PICKING YOUR BLOCK UP IN THE STORE. We will hold your credit card securely on file. If you elect to have your block mailed to you, you will be billed for the amount stated plus shipping and handling, and taxes when applicable. If you elect to pick up your blocks, blocks will be available for pick up on the first Wednesday of each month. You will be charged when you pick up your block. If your block is not picked up by the end of the current month, we will charge your card and ship it to you. Additional shipping and handling charges will be applied. We appreciate your cooperation and participation in our program!